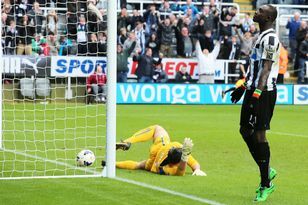 CHRIS Hughton is adamant his Newcastle United side will not need major surgery to hold its own in the Premier League. The Newcastle boss has indicated he will stick with the core of the team that has dominated the Championship for the club’s tilt at the top flight next term – and is looking to add quality rather than quantity over the summer. That is partly a reflection of the faith he has in the players who have served United so diligently this season but also an acknowledgement that the gap is closing between the bottom eight of the Premier League and the second tier’s front runners. While the step up in class from the Championship is undeniable, there are leagues within leagues in the top flight and taking on some of the clubs battling for Premier League survival will hold few fears at St James’ Park. Hughton has taken heart from the way Wolves and – in particular – Birmingham have made such an impact in their first year in the top flight with many of the same players that helped them win promotion. “I don’t think significant changes are needed. Stability is the perfect word for this club going into the Premier League,” Hughton said. “We do not want to disrupt the balance too much – we have a team with great momentum at the moment from winning a lot of games this season. developed this season and have had really good seasons. Those are the things that you can’t ignore. “Of course there will also be decisions on where we need to strengthen, where we need cover - those decisions will be taken over the next few weeks. Much has changed in the 17 years since Kevin Keegan served notice of Newcastle’s imminent arrival in the top flight to Manchester United the last time promotion was achieved. In common with his sensible, realistic approach Hughton has set his sights no higher than establishing United in the Premier League next term. It is an aim that he sees as eminently achievable. “What has happened and will continue to happen is there a group of yo-yo teams who will spend some time in the Championship and some in the Premier League,” he said. “But at the lower end of the Premier League there are teams where the gap is not so great with the teams at the top of the Championship. “Of course you see now big teams like Boro, who are pushing for a play off position, teams who have gone down into the Championship, striving to get back up again. I see that happening over the years. Hughton and Newcastle will profit from a realigning of expectations at St James’ Park – and a significant shift in spending in the Premier League. United’s relative austerity – and the Journal understands a fund of around £25million will be provided to Chris Hughton – will make them modest spenders in a division that has, one notable exception aside, tightened its belt in recent seasons. Hughton insisted: “In general the game has changed. Apart from Man City in the Premier League everyone else is wary of financial change in the game. And Newcastle are exactly the same. “We have a passionate support who turn up regularly and want to see their team winning – and winning in a certain way. There is an aspect and understanding that this is a team who has been in the Championship now going into the top flight.